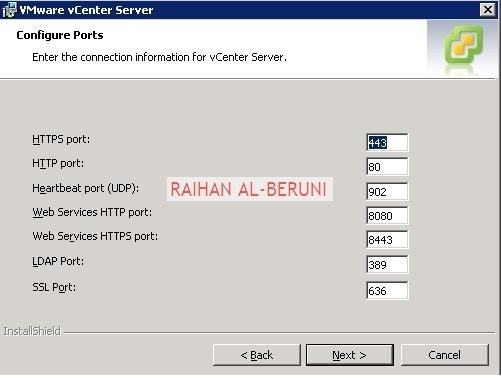 VMware vCenter Server provides centralized platform to manage virtual infrastructure i.e. ESX Hosts, Virtual Machines, storage and other resources. 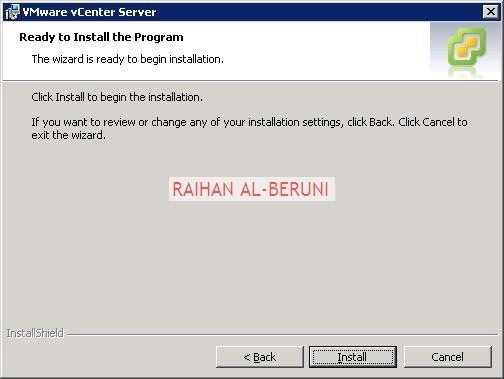 VMware vCenter Server, formerly VMware vCenter, centrally manages VMware ESX4.0 aka vSphere environments allowing VMware administrator manage and administer the virtual environment. I would recommend to have more disk space for vCentre then minimum requirement as update manager required more space then mentioned above. Bundle products such as Essential and Essential Plus will install prerequisite itself without user intervention. For large scale deployment, use database calculator to find out disk space requirement. Mount VMware-VIMSetup-all-4.0.0-208156.iso in CDROM. 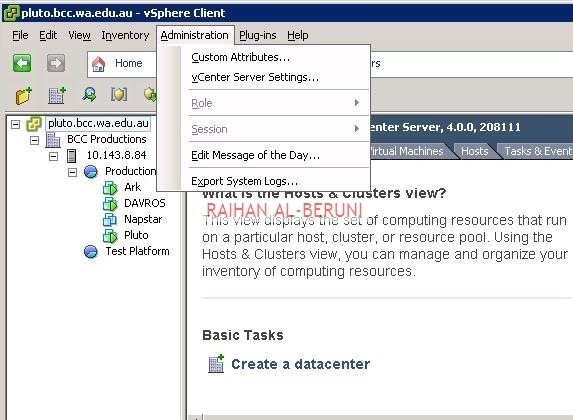 Right click on cdrom and install applications shown here in virtual centre server. 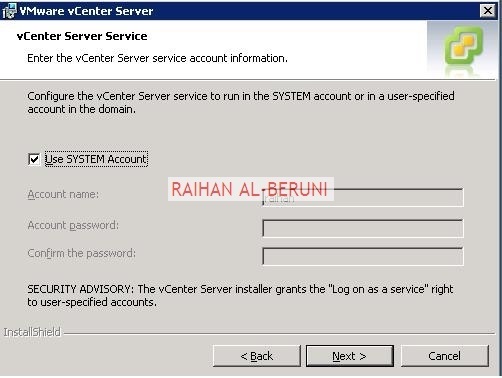 If you have ESX3.5 License server you can Type address of vCentre here. 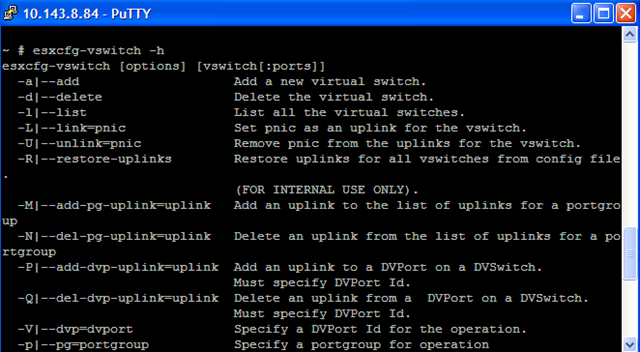 Add vSwitch and NICs for different VLANs as follows. To Create User Permission. 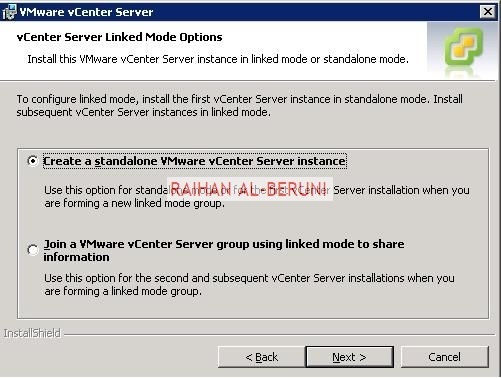 Select ESX host or Virtual machine>click permission>Right click>Add Permission>type domain\username>add>check propagate>ok. 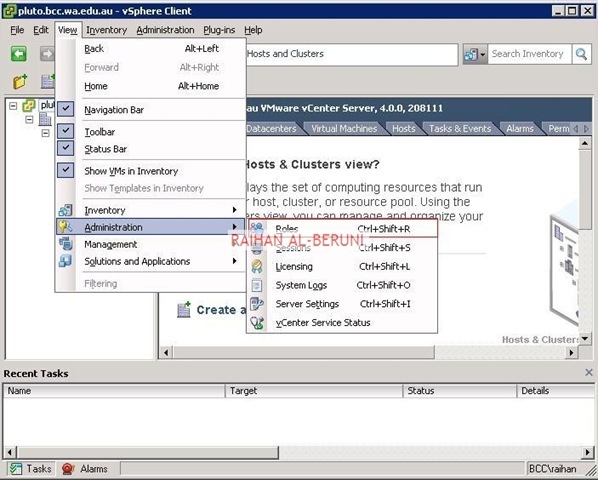 Point vSphere client to home and select desired config tabs. VMware vSphere is the first cloud computing systems in information technology industry. There is no doubt about ESX’s reliability and performance. With the release of ESX 4.0 aka vSphere, there will be few features inbuilt into ESX 4.0 and rest are add on depending on how deep is your wallet. vSphere basic components are VMware ESX or VMware ESXi hypervisor, VMware VMFS, VMware vSphere Client, Four-way vSMP support. ESX products are divided in two categories with sub-categories based on customer needs and affordability. ESX aka vSphere small business product is available in Essentials and Essential Plus sub-category. These are bundled products with targeting small business customer who aren’t willing to spend money but to have virtualized servers. Hence saving money for hardware and management cost. 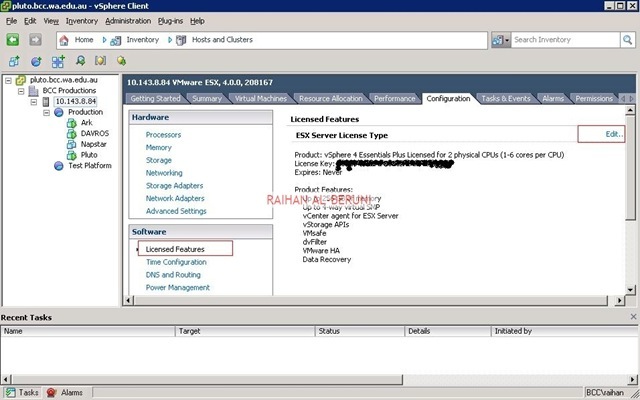 These version of license doesn’t contain any DRS, vMotion, hot Add, vShield luxury. 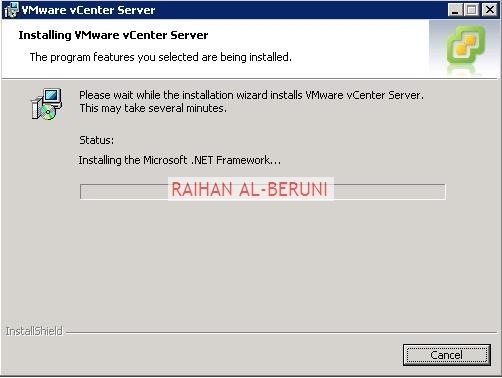 But it works perfect if you want to virtualize 20+- servers. You can have maximum 3 ESX hosts with 2 processors each up-to 6 core per processor. ESX small business editions are priced in-between USD995 to USD2995. Essential got an year support within price. But you have buy additional support for Essential Plus and it’s mandatory. I reckon, Mr Paul Maritz released these editions to target Microsoft Hyper-v and off course you can use ESX without getting your hand into wallet i.e. ESXi single server version without spending $$$. vSphere Editions sub-divided into standard, Advanced, Enterprise and Enterprise plus categories. These four editions got variety of flavour a VMware Administrator wants to play with. VMware data recovery, fault tolerance, hot add, Host profiles, thin provisioning, vNetwork distributed switch, vSheild Zones, DRS, DPM, vMotion and lots more. You can have these cool features based on your need and $$$$. vSphere editions are priced from US$795/processor (six core/processor) to US$2875/processor (six core/processor). A minimum one year support agreement is required with all vSphere products. 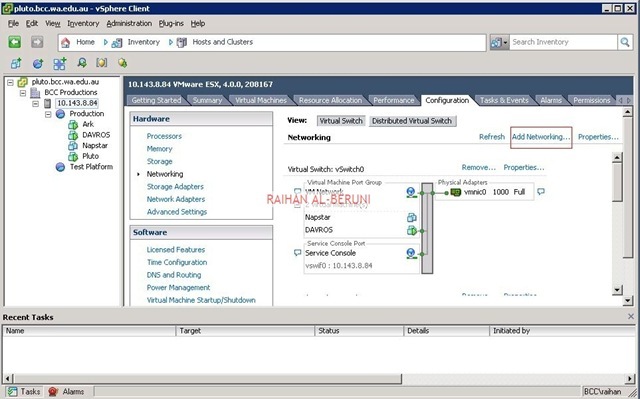 To deploy ESX with complete functionality you must have vCentre server and SAN. 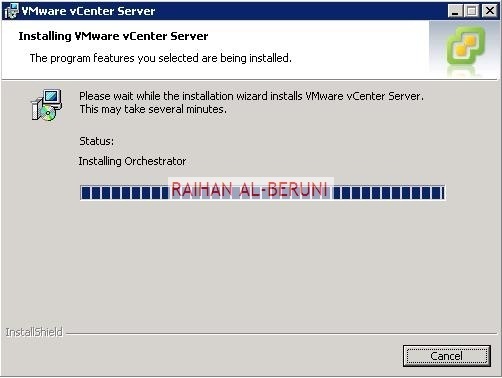 You can manage, update, secure, provision and orchestrate any operation through vCentre. 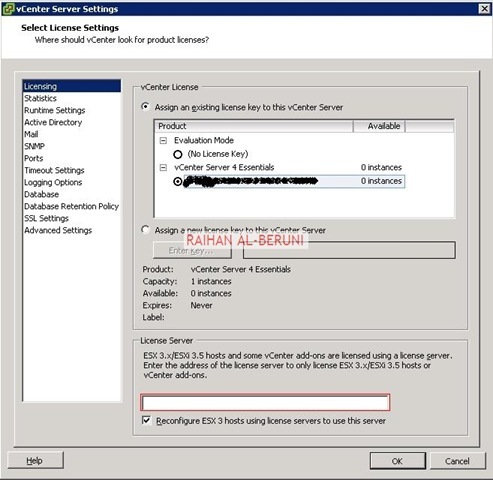 You have to purchase vCentre Server separately to do all cool stuff. In conclusion, I would recommend investigating individual need and business objectives. It’s good to have a business case and technical overview what you are going to achieve after spending on hardware and hypervisor. Just like another Linux operating systems, you can access ESX 4.0 from console. On the console, press ALT+F1 to log on to tech support mode. Another option is to telnet or ssh using putty. You have to know Linux command and other propitiatory command used by VMware. Disk images of ISO 9660 file systems (ISO images) are a common way to electronically transfer the contents of CD-ROMs/DVDs. They often have the filename extension .iso (though not necessarily), and are thus commonly referred to as ISOs. You can boot your VMs directly from ISO image without using cds/dvds. you may find winiso, power iso and deamon tools very handy to work out with iso files. WinSCP and Putty are cool tool that allows Windows machines SSH access to ESX systems. WinSCP tool is very intuitive and familiar looking if you use Norton Commander or Windows Explorer. We use this tool for transferring ISO images and other files such as .flp (floppy images) onto our ESX Server. 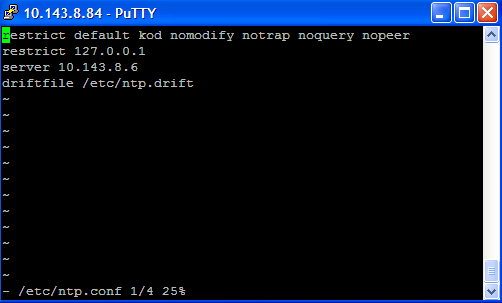 Putty is used to telnet host without going to data centre to log on to host from console. NewSID is a free tool. You need to run this tool if you clone template virtual machines. When you run it you can select a random SID. you will be given the option to reboot the computer after the new SID is applied. 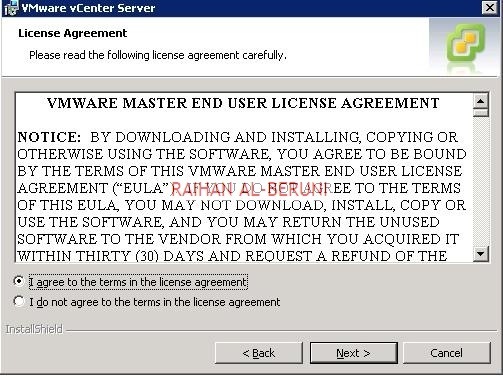 The SID will then be applied to the virtual machine. After the VM reboots, you shouldn’t run into any issues regarding SID or name problems. Veeam ESX backup is a nice tool to backup ESX host. You will get free version and purchased version of Veeam backup. There are lots ESX third party tools available to make your task easy and comfortable. 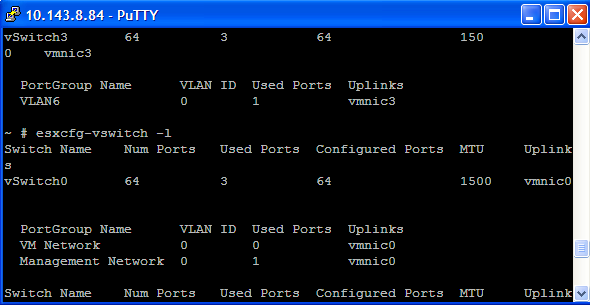 Among them, I used SolarWinds ESX monitoring tools, Vizioncore vRanger and VMTS tools. You may google and find heaps freeware that works same as purchased version of application. WARNING: Do not attempt to login unless you are a delegated user or system admin. If you are new systems administrator in your organisation and you need to log on the console of ESX Host. Previous systems admin didn’t left any documentation what’s so ever. Here is the way to reset root password. Advanced options piped to the interactive shell like this are case-sensitive.